"We have been relying on Bee-Line Storage and consider them to be a strategic partner. " 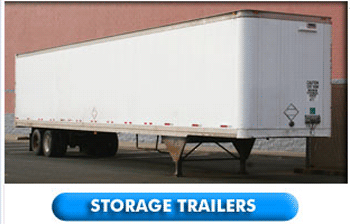 Bee-Line storage – a premier provider since 1972 of rental storage trailers and ground-level storage containers throughout Western Massachusetts, Southern Vermont, and Connecticut. We welcome the opportunity to work with you. Our on-site storage solutions offer commercial and residential customers the ability to greatly expand their storage capacity at a very affordable price. Our heavy-duty steel and wood-floored storage containers and trailers come in a wide range of sizes (including 10, 20, 24, 28, 45, 48, and 53 feet long) to suit any need: retail, wholesale, construction, distribution, manufacturing, vehicle, homeowner, and agriculture. For any company or individual who needs extra room for storage – inventory, building materials, records, personal possessions, etc. – but doesn’t want to rent warehouse space, our sturdy, clean, lockable storage boxes are an ideal alternative to lightweight units such as "Pods." Delivery from our home base of Springfield, MA (in Hampden County), includes cities such as Holyoke, Chicopee, Agawam, Westfield, Northampton, Greenfield, Worcester, Hartford and New Haven, CT, and Brattleboro, VT. Bee-Line will deliver your storage container or trailer, and pick it up when you’re done with it. Our highly experienced staff can answer all your storage questions and offer the best solution for your needs. Call us today at 413-737-3114 for a free price estimate.